Experience the forest, the healing enchantment of everlasting evergreens. This is a special blend of organic, French grown Silver Fir essential oil, with ancient amber resin in a base of organic, skin loving sunflower and jojoba oil. Deeply nourishing to the body, mind and spirit. 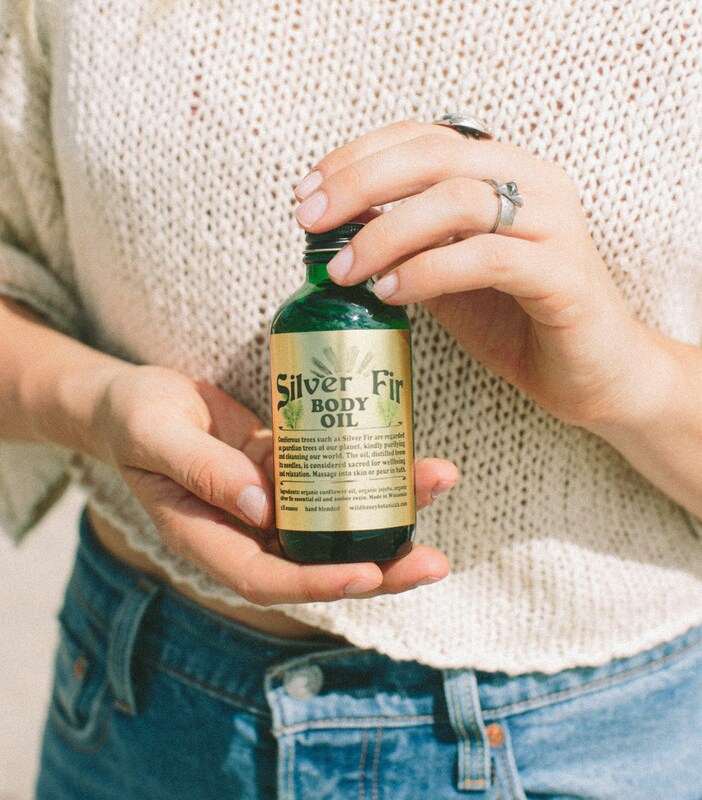 Silver Fir has been used through out history and held as sacred and soul cleansing in ancient times. A sweet, herbaceous, warm aromatic journey back to your healing center. To be used all over body when ever desired.